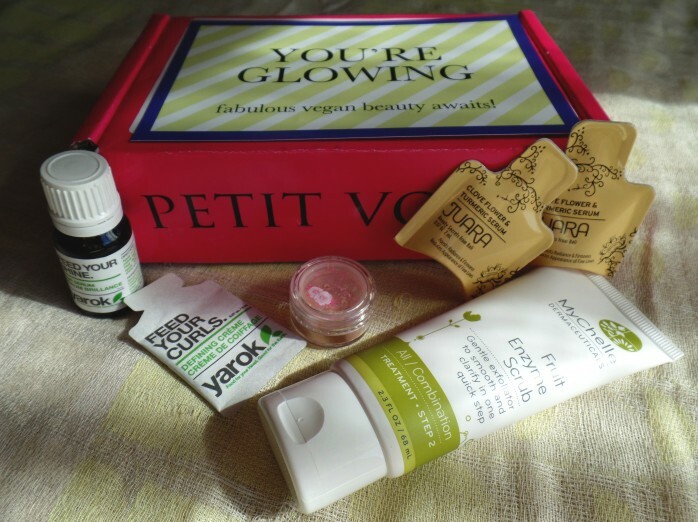 It’s always exciting to be one of the first to review the freshest Petit Vour box! 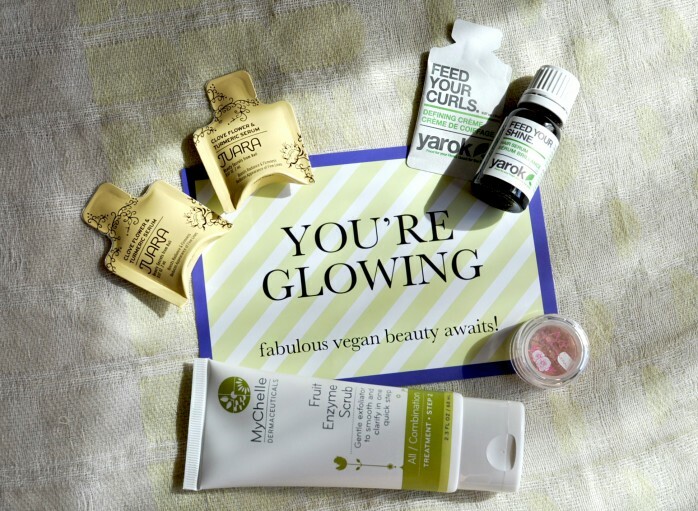 My Petit Vour August Box is here, and here are the exciting new products it has to offer! I can never get enough of scrubs, so they are always welcome! 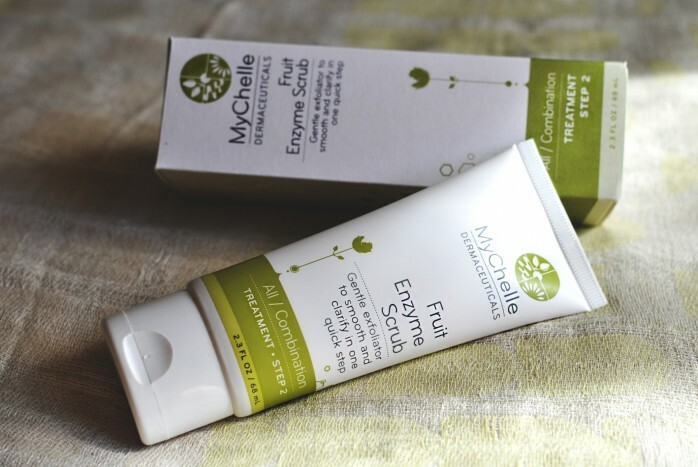 I’m particularly interested in MyChelle Fruit Enzyme Scrub in this month’s box because all the enzyme-based products I’ve tried before proved to be very powerful. 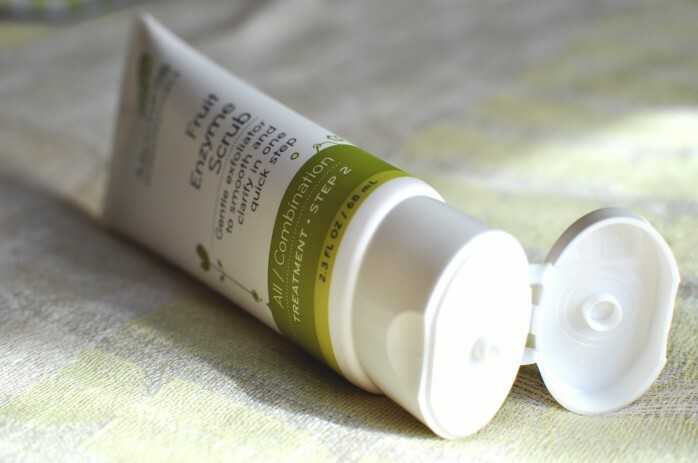 The tiny Jojoba Beads and refined Bamboo Stem Powder gently polish, while fruit enzymes (Pectin) exfoliate dead skin cells to achieve soft and smooth skin. I can’t imagine not liking this! The smell is – you guessed it – very fruity and natural. 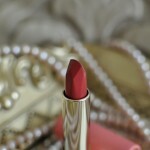 You can never have enough of travel-sized beauty products! 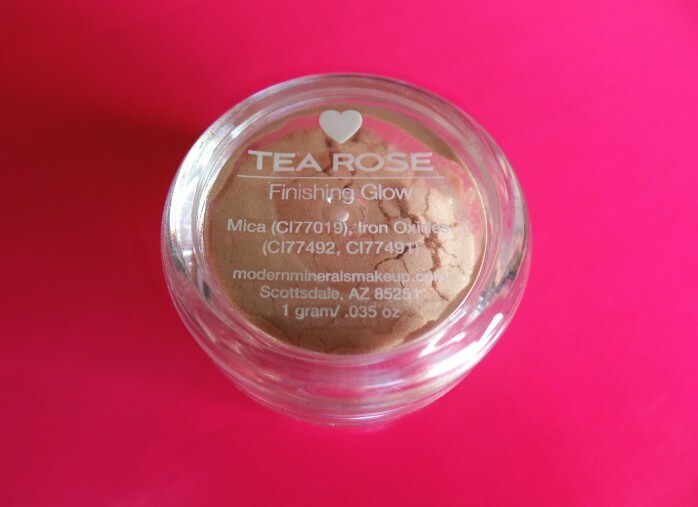 Modern Minerals Mineral Finishing Glow in Tea Rose will be a great addition to my travel bag. 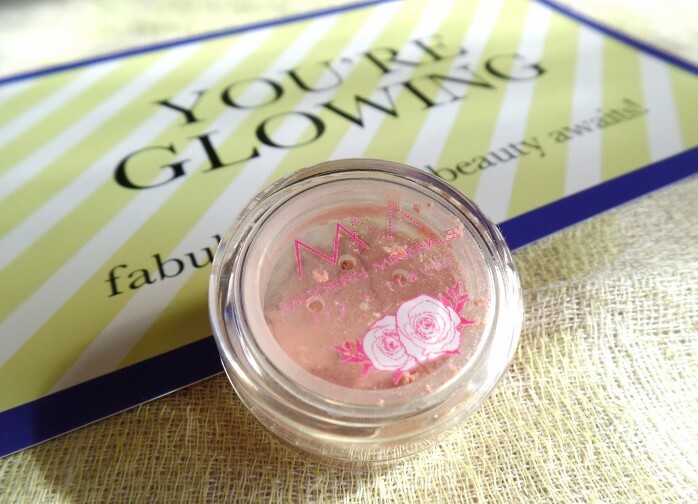 This finishing powder is translucent with a delicate pink hue and just hint of shimmer. The key ingredient – mica powder – reflects light from the face and creates the illusion of a smoother, softer and more radiant skin. 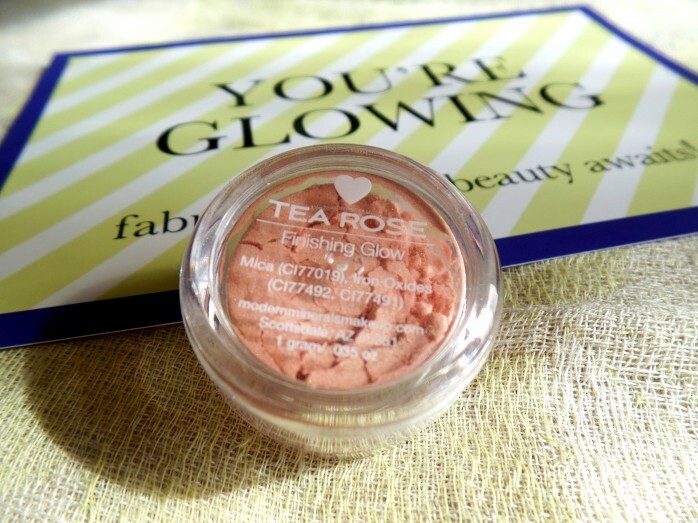 Helps to create that flawless face finish we love! 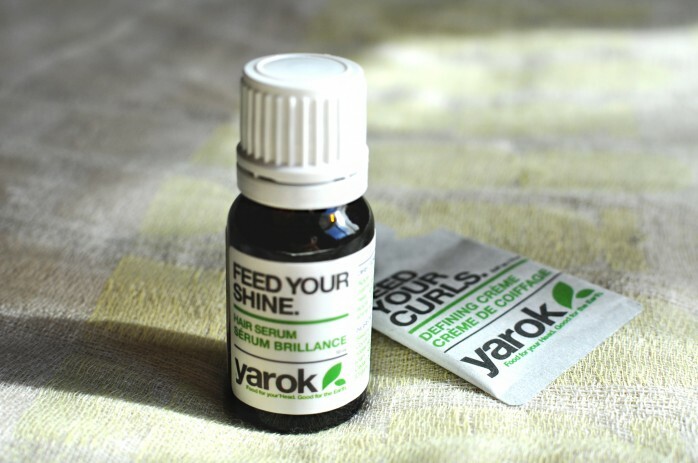 Yarok Feed Your Shine Hair Serum is made to protect your strands from damage and heat styling. The blend of vitamins, minerals, anti-oxidants and essential oils conditions and adds healthy shine to your hair. This serum is not very thick and does not feel heavy or oily. Not sure if I’ll be happy with the level of conditioning that it brings, but I will first try. The smell is very strong and herbal (I mostly pick up Camomile), but settles in very quickly and doesn’t become overpowering. 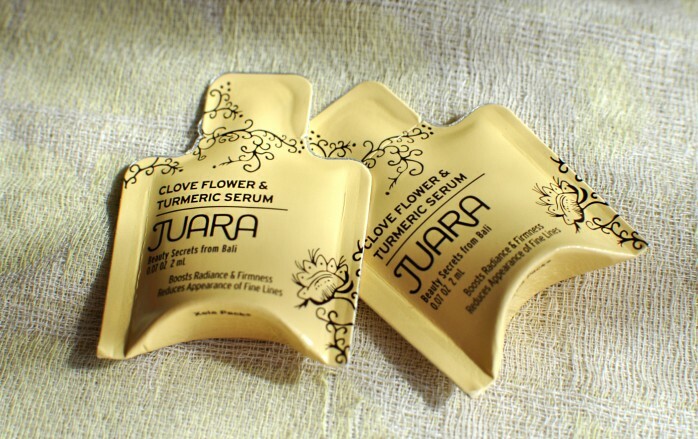 I’m glad that the box included two of the JUARA Clove Flower & Turmeric Anti-Aging Serum samples – it’s nice to be able to try it for a longer time before deciding if the product is for you. 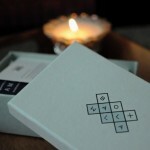 This serum boosts radiance and luminosity; smoothes, lifts and tightens skin; reduces redness and evens out skin tone. 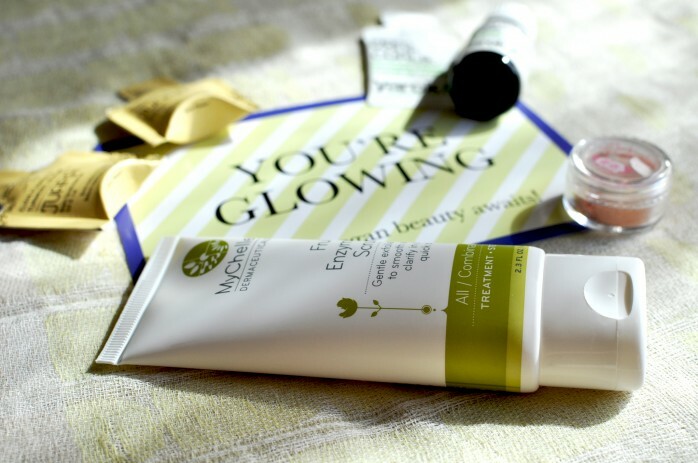 The powerful antioxidants help protect your beautiful face from environmental damage. 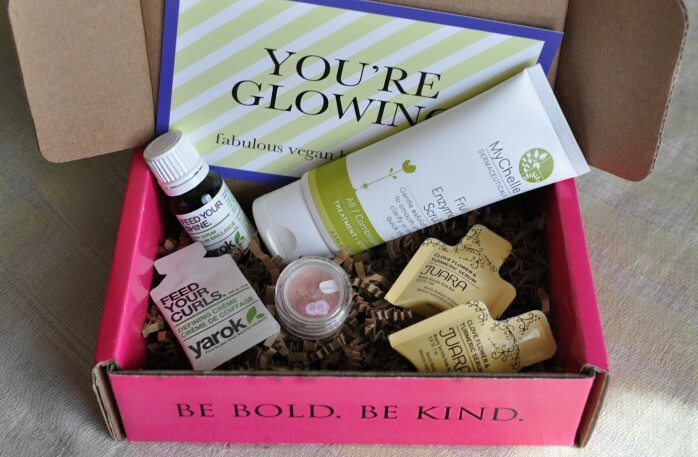 Good for any skin type. 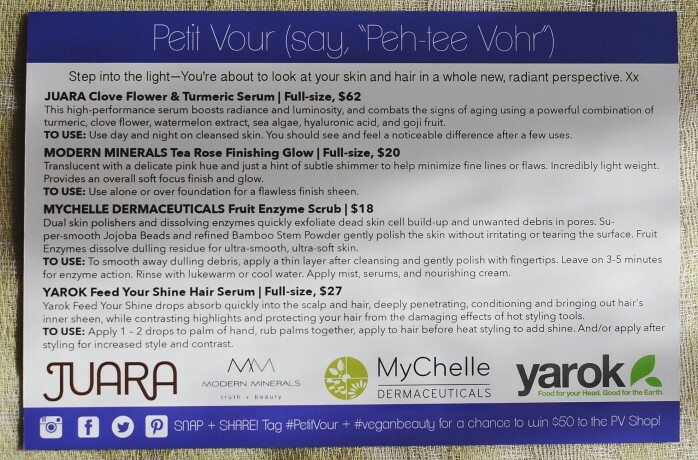 That Fruit Enzyme Scrub sounds awesome! Have you had a chance to try it out?